Send a Valentine’s Day card or letter supporting Have a Heart Day to the Prime Minister and your Member of Parliament. Host a Valentine’s Day party to raise awareness in your school or community. Choose a day leading up to Valentine's Day that makes sense for your class or community. 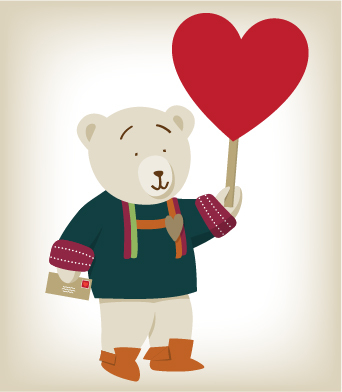 Download and edit our Have A Heart Day poster here to use for your event. Fill & Sign to edit using Adobe Reader (free download here). Bring reconciliation into the classroom to get your students ready. Do Project of Heart, organize a Blanket Exercise workshop, or screen a film. For other great ideas, visit the Shannen's Dream School Resources page. Spread the word through social media like YouTube, Twitter, and Facebook. Use the hashtag #HaveaHeartDay and/or #JourneeAyezUnCoeur. Explore the Have a Heart Day website to download Have a Heart Day resources! Through activities like Have a Heart Day, we are creating a movement where the landscape of Canada is only one of honour and possibility for First Nations children. Visit the Have a Heart Gallery to see photos from events across Canada! Reconciliation is all of us. Read this information sheet for ways you can help make a difference.